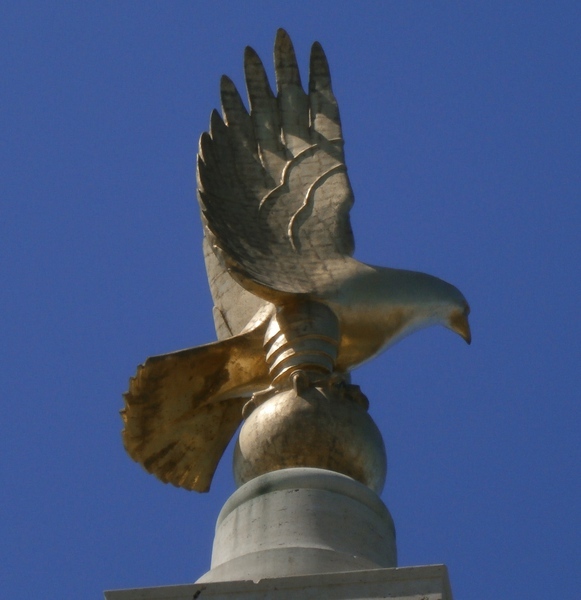 There are no known fatalities within 255 Squadron from the period 1918-1919. Beware of erroneous reports of two losses on 14 August 1918 involving DH6 aircraft flying out of Llangefni, Anglesey (Ynys Môn). Both are properly attributed to No.244 Squadron, which was by then a unit in its own right having previously been a detached flight and a part of 255 Squadron. 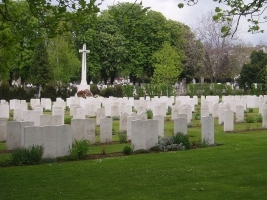 SURNAME, forename(s), honours/awards, rank/service, service number, age at death and/or date of birth, date of death, circumstances of death, death registration index entry, cemetery or crematorium in instances where a body was recovered, exhumations and reburials in cases where GWGC "grave concentration" has taken place, grave reference, other war memorial information including the Imperial War Museum memorial reference number, genealogical information, other fatalities in the same incident and, where declassified, the reference number of the AIR81 CASREP file. Each entry recording a fatality is accompanied by a photograph and each photograph is different. Additional official data will become available as the CASREP files are declassified and added to The National Archives document class AIR81. This should happen after 82 years closure (counted from the last entry in the file) or prior opening of the file under Freedom of Information Act procedures. The apparently unusual figure of 82 years is the assumed lifespan of 100 years minus the assumed minimum age of 18 for any person named in such a file. It is important to realise that the CASREP files are one-per-incident, which is not necessarily the same thing as one-per-person. The naming of a survivor of unstated age can, therefore, frustrate the opening of a file in cases where the person of actual interest was a fatality. Please report any errors or omissions using the mail link on the sitemap page, quoting your source. 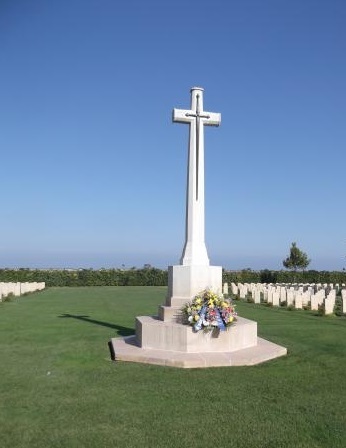 If visiting any of the grave sites, please remember to take with you a suitable token of remembrance obtained from the Royal British Legion Poppy Appeal. Types C and K Wreaths are available to order with the Squadron’s crest as the centrepiece. In most CWGC cemeteries, due to lack of available space, individual graves should only be marked with Poppy Crosses etc., not complete wreaths. BARKER, Leonard Samuel, Sergeant, RAFVR, Service Number 1178664, age 27 (some official records say 28 in error), killed 28.Feb.1942 when Bristol Beaufighter Mk.II serial R2333 crashed offshore of Cromer, Norfolk. Death Registration: "BARKER, Leonard S, age 28, Yarmouth 4b 17, Mar.Qr.1942", duplicated in Overseas Deaths as "War Deaths (RAF - All Ranks) 1939-1948, 1942 Vol 1 Page 264". Buried at Scottow Cemetery, Norfolk, grave 265. Son of Arthur Samuel BARKER and Louisa Emma BARKER née PURKIS; husband of Edith Mary BARKER née RENACRE, telephonist, of Wandsworth, London (re-married 1944 JACOBS). Other fatalities in the same incident: McGEVOR. BARKER, Walter, Flight Sergeant, RAFVR, Service Number 748632, age 25, presumed killed 16.Oct.1941 when Bristol Beaufighter Mk.II serial R2377 crashed offshore of Happisburgh, Norfolk, UK. No identified remains were recovered, despite a "second body" being mentioned in the village ARP Warden’s log. Civilian occupation: Solicitor’s clerk. Death Registration: Not recorded in the civilian registers; instead recorded as a death "while on Service Abroad" even though the crash was in territorial waters. "War Deaths (RAF - All Ranks) 1939-1948, 1941 Vol 1 Page 266". Commemorated at the Runnymede Memorial, Panel 35 (WM Ref: 23270). Son of Charles BARKER and Louisa BARKER née TISBURY, husband of Marjorie BARKER née WATTS of 34 Bury Street, Lower Edmonton, London N9. Father of Katherine (1941). 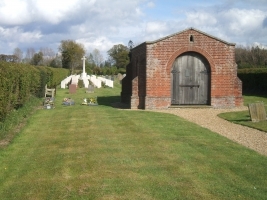 The family were billeted at The School House, Scottow, at the time of Walter’s death in an arrangement that both housed Walter close to RAF Coltishall and provided a mother-and-baby evacuation for his wife and infant daughter. 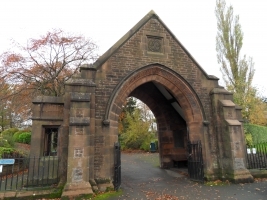 The Edmonton town memorial (WM Ref: 17988) does not name individual casualties. Other fatalities in the same incident: VARLEY. BARTLETT, John Stuart, DFC, Wing Commander, RAF, Service Number 34037, age 29, killed 22.Aug.1941 when Bristol Beaufighter Mk.II serial R2403 crashed on final approach to RAF Coltishall. Death Registration: "BARTLETT, John S, age 29, N.Walsham 4b 99, Sep.Qr.1941", not duplicated in RAF WW2 register. 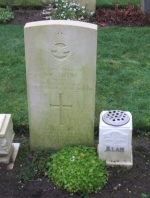 Buried at Brookwood Military Cemetery, grave 25.B.17 (WM Ref: 23768). Son of Arthur Ernest BARTLETT and Maude Mary BARTLETT née KING of South Kensington, London. Other fatalities in the same incident: SALKELD. BECKETT, Alfred Francis, BA Hons., Pilot Officer, RAFVR, Service Number 145778, age 36, killed 16.Dec.1943 when Bristol Beaufighter Mk.VI serial V8877 crashed on take-off from Grottaglie, Italy. Death Registration: "War Deaths (RAF - All Ranks) 1939-1948, 1943 Vol 1 Page 354". Originally buried at Taranto Military Cemetery; re-buried 03.Oct.1944 at Bari War Cemetery, Italy, grave VI.E.2. Son of Alfred BECKETT and Frances Lucy BECKETT, husband of Nellie BECKETT née HALLIDAY, of Newcastle-on-Tyne. [This casualty is not attributed to 255 Squadron in the main CWGC database, but see AIR27/1518/69 folio 265 and CWGC Concentration Reports.] Reported by some sources to be the same person as the Beckett listed on the Lisburn Memorial, County Antrim [WM Ref: 6465]. Other fatalities in the same incident: COGGINS. BEDFORD, Geoffrey, Sergeant, RAFVR, Service Number 751501, age 22, killed 15.Jan.1942 when Bristol Beaufighter Mk.II serial R2448 crashed on approach to RAF Coltishall. Death Registration: "BEDFORD, Geoffrey, age 22, Norwich Outer 4b 170, Mar.Qr.1942", not duplicated in RAF WW2 register. Buried at Scunthorpe (Brumby and Frodingham) Cemetery, section D2 grave 62. Also commemorated on a large tablet that is situated on the outside wall of the North Lincolnshire Museum, Oswald Road, Scunthorpe, adjacent to the Town War Memorial. WM Ref: 67651. Son of John William BEDFORD, foreman boilersmith, and Ethel BEDFORD née BURNABY of Old Brumby, Lincolnshire. Other fatalities in the same incident: MORTIMER. CLENNELL, Geoffrey James Ian, Squadron Leader, RAFVR, Service Number 32242, age 29, killed 25.Feb.1942 in the crash of Bristol Beaufighter Mk.II serial T3023 on final approach to RAF Coltishall. Pre-war occupation: Test pilot, living at 210 Henwick Road, Worcester. Death Registration: "CLENNELL, Geoffrey J I, age 29, Acle 4b 70, Mar.Qr.1942", not duplicated in RAF WW2 register. Buried at Scottow Cemetery, grave 266. Husband of Joan Ossory CLENNELL née DUNLOP (who later re-married HOWDEN in 1945, d.2009). Father of Jonathan (1935), Charles (1939) and Sarah (1940). Other fatalities in the same incident: VINCENT. COGGINS, William Roger, Flying Officer, RAFVR, Service Number 142067, age 21, killed 16.Dec.1943 when Bristol Beaufighter Mk.VI serial V8877 crashed on take-off from Grottaglie, Italy. Death Registration: "War Deaths (RAF - All Ranks) 1939-1948, 1943 Vol 3 Page 243". Originally buried at Taranto Military Cemetery; re-buried 06.Oct.1944 at Bari War Cemetery, Italy, grave VI.E.17. Named on the war memorial at Nacton, Suffolk. WM Ref: 5342 and/or 5384 (unresolved). Son of John Austin COGGINS and Florence Charlotte COGGINS née COOK of Last Lodge, Nacton. Probate record mis-identifies Florence Charlotte COGGINS as the casualty’s widow. Other fatalities in the same incident: BECKETT. COTTERILL, David Keith, Warrant Officer, Royal New Zealand Air Force, Service Number 404992, age 21, killed 26.Sep.1943 when two Beaufighter Mk.VI aircraft of No.255 Squadron collided in mid-air some 10 miles west of Cap S.Vito, NW Sicily. Aircraft serials are not shown in surviving Squadron records. No body recovered. 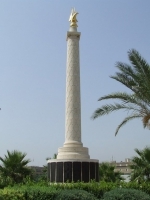 Commemorated at the Malta Memorial, Panel 12 Column 1. Son of Arthur Keith COTTERILL and Marjorie COTTERILL née RHODES of Hastings, Hawke’s Bay, New Zealand. Other fatalities in the same incident: NEDAHL. 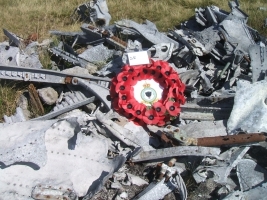 CRAIG, James, Pilot Officer, Royal Air Force, Service Number 45843, age 28, killed 29.Aug.1941 when Boulton Paul Defiant Mk.I serial N3378 crashed near the summit of Bleaklow in the Pennines, not far from the western end of the Woodhead Tunnel. Crash site not found until 23 September. Death Registration: "CRAIG, James, age 28, Glossop 7b 1316, Sep.Qr.1941". Buried at Kirton-in-Lindsey Cemetery, block A grave 192. Son of Andrew Anderson CRAIG and Nellie CRAIG, husband of Stephanie CRAIG née ASKEW of Belle Vue, Wakefield, Yorkshire. Other fatalities in the same incident: HEMPSTEAD. DALE, Peter Alan, Pilot Officer, Royal Air Force, Service Number 45550, age 24, killed 13.Dec.1941 when Bristol Beaufighter Mk.II serial R2309 crashed on final approach to RAF Coltishall. Death Registration: "DALE, Peter A, age 24, N.Walsham 4b 101, Dec.Qr.1941", not duplicated in RAF WW2 register. Buried at Scottow Cemetery, Norfolk, UK, grave 263. Son of Arthur Robert DALE and Margaret DALE of Burniston, Yorkshire. Other fatalities in the same incident: None. DUTTON, Kenneth, Flying Officer, RAFVR, Service Number 179354, age 23, killed 10.March.1945 when de Havilland Mosquito Mk.XIX serial TA427 crashed into the sea. Wreckage sighted at 43°23'N 9°34'E but F/O Dutton’s body was not recovered. Death Registration: "War Deaths (RAF - All Ranks) 1939-1948, 1945 Vol 4 Page 397". Commemorated at the Malta Memorial, Panel 18 Column 1 and named on the War Memorial at Acomb, York (WM Ref: 30657). Son of Harold Edward DUTTON, Railway Clerk, and Alice DUTTON née WRIGHTSON of 19 Chestnut Grove, Acomb. Other fatalities in the same incident: WALKER. ELLIS, Roy Fairmead, Sergeant, RAFVR, Service Number 1394363, age 29, killed 01.Sep.1942 when Bristol Beaufighter Mk.VI serial X7943 crashed at Snitterfield, Warwickshire. Death Registration: "ELLIS, Roy F, age 29, Stratford 6d 850, Sep.Qr.1942", not duplicated in RAF WW2 register. 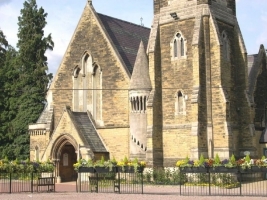 Cremated and commemorated on Panel 1 at Cheltenham Crematorium, opened in 1938 as an extension to the Chapel of the Town Cemetery. Other fatalities in the same incident: JOHNSON. 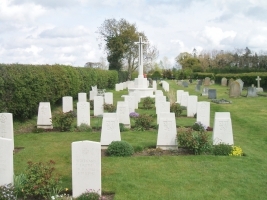 EMMERSON, James Howard (known as Jimmy), Flying Officer, RAFVR, Service Number 81449, age 21, killed 16.Aug.1941 when Bristol Bleinheim Mk.I serial L1223 crashed on approach to RAF Coltishall. Death Registration: "EMMERSON, James H, age 21, N.Walsham 4b 107, Sep.Qr.1941", not duplicated in RAF WW2 register. Buried at Scottow Cemetery, Norfolk, grave 248. Son of Howard Lindsay EMMERSON and Eva Bourne EMMERSON of Green Gates, Burwood Park, Walton-on-Thames, Surrey. Other fatalities in the same incident: FOWLER. FOWLER, Donald Crosby, Sergeant, RAFVR, Service Number 748529, age 21, killed 16.Aug.1941 when Bristol Blenheim Mk.I serial L1223 crashed on approach to RAF Coltishall. Death Registration: "FOWLER, Donald C, age 21, N.Walsham 4b 107, Sep.Qr.1941", not duplicated in RAF WW2 register. Buried at Gillingham (Woodlands) Cemetery, Kent, section AA grave 167. Son of Frederick FOWLER, Railway Supply Officer, and Lilian Elizabeth FOWLER of 285 Barnsole Road, Gillingham, Kent. Other fatalities in the same incident: EMMERSON. GRAHAM, Robert Merton, Squadron Leader, Royal Air Force, Service Number 60526, presumed killed on his 23rd birthday, 10.Sep.1943, when Bristol Beaufighter Mk.VI [serial not recorded in surviving Squadron paperwork] crashed off Licosa Point (Punta Licosa), Italy. Born Budapest, Hungary, mother Baroness Ilena Sarolta (otherwise Helen Charlotte) PODMANICZKY. Death Registration: "War Deaths (RAF - All Ranks) 1939-1948, 1943 Vol 6 Page 185". No body recovered. Commemorated at the Malta Memorial, Panel 6 Column 1. Husband of Iris GRAHAM née KEARLEY. Other fatalities in the same incident: SMITH. 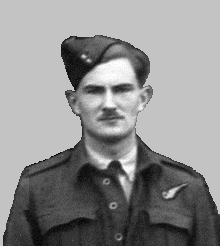 GREENLAND, Charles James Donald, Flight Lieutenant, Royal Canadian Air Force, Service Number J/15664, age 33, killed 12.Sep.1943 after bailing out of a Bristol Beaufighter Mk.VI aircraft [serial not shown in surviving Squadron records] that had been damaged in air-to-air combat. No body recovered from the sea. 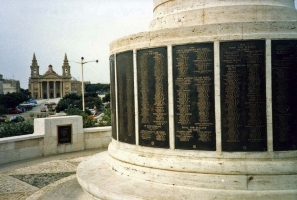 Commemorated at the Malta Memorial, Panel 10 Column 1. Son of Walter GREENLAND and Alice GREENLAND, husband of Ada S. GREENLAND of Vancouver, British Colombia, Canada. Other fatalities in the same incident: None. GRIFFITHS, David John, Sergeant, RAFVR, Service Number 1380887, age 20, killed 03.Jul.1943 when Bristol Beaufighter Mk.VI serial V8685 crashed about 5 miles east of La Sebala, Tunisia. Death Registration: "War Deaths (RAF - All Ranks) 1939-1948, 1943 Vol 6 Page 257". According to Peter Croft’s written history of the Squadron, the initial place of burial was La Borgal, near Tunis. Apparently re-buried for the first time 18.Feb.1944 at temporary location "296/GR(A)". 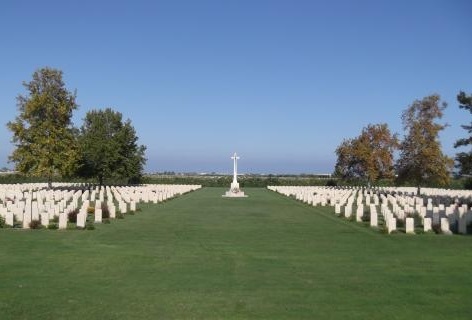 Re-buried for the second time 16.Aug.1944 at Medjez-el-Bab War Cemetery, Tunisia, grave number 7.G.17. Son of Idris GRIFFITHS, tin pickler, and Annie GRIFFITHS of 4 Russell Street, Swansea. Other fatalities in the same incident: None. GUTHRIE, Alexander, Sergeant, RAFVR, Service Number 1254048, age 20, killed 12.Jul.1942 when Bristol Beaufighter Mk.VI X7945 crashed near Hatton Mental Hospital. Death Registration: "GUTHRIE, Alexander, age 20, Warwick 6d 817, Sep.Qr.1942", not duplicated in RAF WW2 register. Cremated and commemorated on Panel LH at Pontypridd Crematorium. 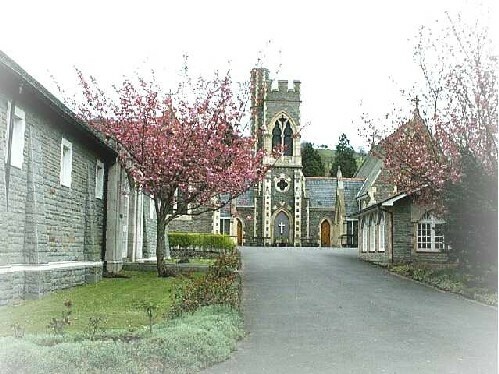 At the time of WWII this was the only crematorium in Wales. 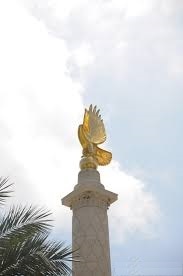 The memorial is located in an area now considered unsafe. Access can only be had by first gaining permission from the Crematorium Office. WM Ref: 17675 or 17677 (unresolved). Son of David Gibson GUTHRIE, a Board of Trade Surveyor, and Annie King GUTHRIE of 4 Bettws-y-Coed Road, Cyncoed, Cardiff. Other fatalities in the same incident: PARKER. HALE, Eric William, Leading Aircraftman, RAFVR, Service Number 1232490, age 20, died at Warwick Hospital 14.Oct.1942 in consequence of a brain injury sustained the previous day when he fell off a pedal-cycle. Death Registration: "HALE, Eric W, age 20, Warwick 6d 855, Dec.Qr.1942", not duplicated in RAF WW2 register. Buried at New Southgate Cemetery, London, section AC grave 2222. Son of Harry Arthur HALE and the late Nellie Sarah HALE née MACK of 93 Sutton Road, Muswell Hill, London N10. Other fatalities in the same incident: None. HEMPSTEAD, George Daniel, Aircraftman 1st Class, RAFVR, Service Number 1103778, age 27 (DoB 05.Jan.1914), killed 29.Aug.1941 when Boulton Paul Defiant Mk.I serial N3378 crashed near the summit of Bleaklow in the Pennines, not far from the western end of the Woodhead Tunnel. Crash site not found until 23 September. Death Registration: "HEMPSTEAD, George D, age 27, Glossop 7b 1316, Sep.Qr.1941", not duplicated in RAF WW2 register. 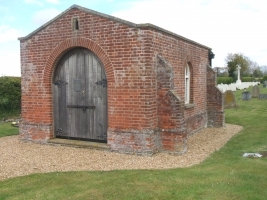 Buried at Asgarby St.Andrew Churchyard, Lincolnshire, his wife’s home parish. Obit: Lincolnshire Standard and Boston Guardian, edition of 04.Oct.1941. Peacetime occupation: Professional Golfer. 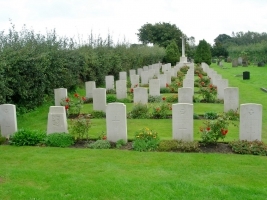 Discrepancy in reported rank as between Obit and CWGC database is unresolved. 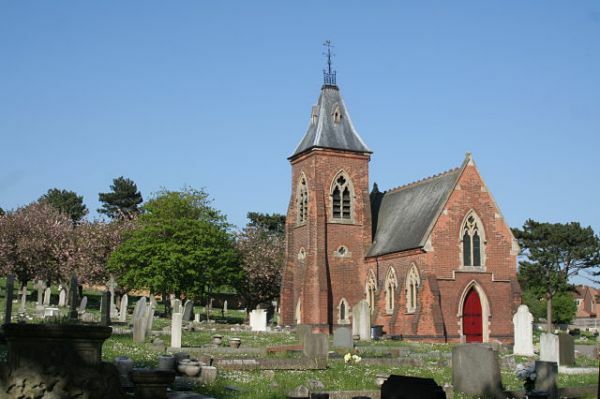 In addition to the gravestone, a memorial book dedicated to Aircraftman Hempstead is to be found at the church (not found in IWM database of war memorials). Son of Charles Henry HEMPSTEAD and Dora May HEMPSTEAD née LONGSTAFF of 96 Grantham Road, Sleaford; husband of Mildred HEMPSTEAD née PIKE of Sleaford and later of Strathbungo, Glasgow. Other fatalities in the same incident: CRAIG. HILES, Charles Reginald (known as Reggie), Pilot Officer, RAFVR, Service Number 116704, age 33, killed 06.Jan.1943 in the crash of Bristol Beaufighter Mk.VI serial V8547 which struck a cliff whilst attempting an emergency landing at Bône, Algeria. Death Registration: "War Deaths (RAF - All Ranks) 1939-1948, 1943 Vol 7 Page 227". Civilian occupation: Printer’s technical salesman. 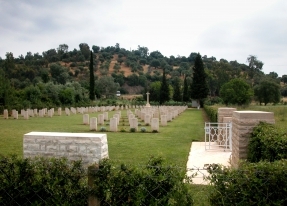 Buried at Bône War Cemetery, Annaba, Algeria, collective grave VIII.G.1-13. Son of Charles Ernest HILES and Jane HILES née WILES. Husband of Annie Beeston Jean HILES née HUMPHRIES of 499A Pinner Road, North Harrow, Middlesex. Omitted from the parish war memorial inside St.Alban’s Church, Harrow (WM Ref: 11131). As at September 2016 arrangements are in hand to add Reggie’s name to the accompanying Book of Remembrance (not currently in IWM database). Other fatalities in the same incident: WESTON. HUMES, Geoffrey, Flying Officer, RAFVR, Service Number 66570, age 22, presumed killed and body lost at sea 01.Apr.1943 when Bristol Beaufighter Mk.VI [serial not shown in surviving Squadron records] failed to return from an intruder mission over Sardinia. Commemorated at the Malta Memorial, Panel 6 Column 2. Son of Gladys Isabel HUMES (1895–1962) of Huntingdon. Probate record shows her as the widow of the casualty, apparently in error. Address given as 5 Cromwell Terrace, Huntingdon. Death Registration: "War Deaths (RAF - All Ranks) 1939-1948, 1943 Vol 8 Page 33". 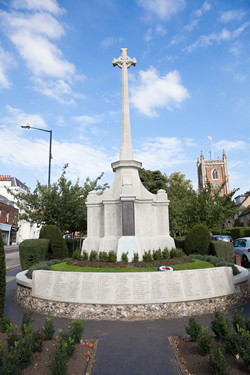 Individual casualties are not named on the Huntingdon war memorial. Other fatalities in the same incident: SAYER. JACOBS, Alan Ralph, Sergeant, RAFVR, Service Number 748209, age 20, killed 02.Feb.1941 when Boulton Paul Defiant Mk.I serial N3306 stalled on final approach to RAF Kirton Lindsey. The Squadron’s first fatality. Death Registration: "JACOBS, Alan R, age 20, Scunthorpe 7a 1853, Mar.Qr.1941", not duplicated in RAF WW2 register. Buried at Northampton (Kingsthorpe) Cemetery beneath a CWGC headstone and also commemorated on the Northampton Borough war memorial in Abington Square (WM Ref: 14948), Alan was the son of Arthur JACOBS, Fruiterer and Provision Dealer, and May Mary JACOBS née HUDSON of 19 Kingsthorpe Grove, Northampton. Other fatalities in the same incident: None. Declassified Casrep file AIR81/4975 gives DoB as 04.Oct.1920. Letters of Administration 23.Aug.1941, Birmingham. JOHNSON, Stanley Joseph, Warrant Officer, RAFVR, Service Number 754519, age 21, killed 01.Sep.1942 when Bristol Beaufighter Mk.VI serial X7943 crashed at Snitterfield, Warwickshire. Death Registration: "JOHNSON, Stanley J, age 21, Stratford 6d 850, Sep.Qr.1942", not duplicated in RAF WW2 register. Buried at Bucknall St.Mary Churchyard, new part, grave 280. Son of Thomas JOHNSON and Marion (CWGC record says Marian) JOHNSON née NIXON of 24 Barry Avenue, Bucknall, Stoke-on-Trent; newly-wed husband of Marjorie J. JOHNSON (CWGC record omits "Marjorie") née WILLIS of Bucknall. Other fatalities in the same incident: ELLIS. JONES, Maxwell Stanley, Warrant Officer, RAFVR, Service Number 1334241, age 22, killed 13.Nov.1944 in the crash of Bristol Beaufighter Mk.VI serial ND312 at Foggia Main, Italy. Death Registration: "War Deaths (RAF - All Ranks) 1939-1948, 1944 Vol 8 Page 253". 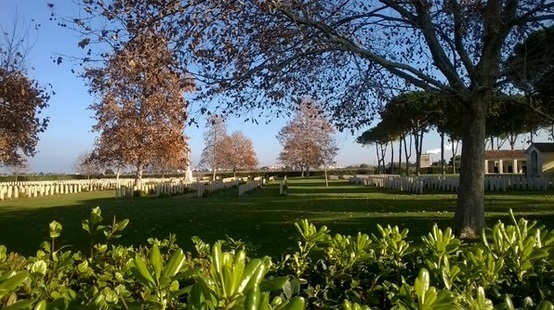 Buried at Bari War Cemetery, Italy, grave number XI.B.8. 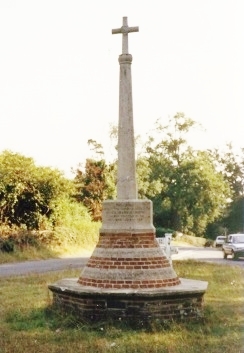 Commemorated at the St.Albans War Memorial, Hertfordshire (WM Ref: 14703). Son of Edward Stanley JONES and Mary Ann Frances JONES née BAGSTER of St.Albans. Other fatalities in the same incident: RAY. KELLY, Robert Dickson, Flight Sergeant, RAFVR, Service Number 658269, killed 07.Jan.1944 in the crash of Bristol Beaufighter Mk.VI serial MM864 during take-off from Grottaglie, Italy. Death Registration: "War Deaths (RAF - All Ranks) 1939-1948, 1944 Vol 8 Page 318". 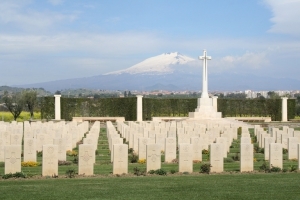 Originally buried at Taranto Military Cemetery; re-buried 03.Oct.1944 at Bari War Cemetery, Italy, grave number VI.C.32. 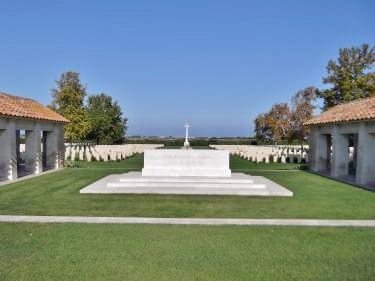 CWGC Concentration Report gives an incorrect Service Number. Son of John KELLY and Isabella KELLY, husband of Anna KELLY of Stromness, Orkney. Other fatalities in the same incident: WATERS. KING, David Arthur, Pilot Officer, RAFVR, Service Number 132988, killed 14.Apr.1943 whilst attached to 153 Squadron and on patrol over the Western Mediterranean from Maison Blanche, Algeria. No body recovered. Death Registration: "War Deaths (RAF - All Ranks) 1939-1948, 1943 Vol 9 Page 19". Commemorated at the Malta Memorial, Panel 7, Column 1. Widow: Veronica Sonia KING née BATHER (1919-1998). 1939 marriage registration omits her middle forename; nickname "Bugs". Address: 9 Lime Tree Grove, Birkenshaw, Bradford, Yorkshire from 1942-47. Remarried (THOMAS) 1945 and emigrated to Canada 1947. Other fatalities in the same incident: THARP. LANGDON, Gordon Percival Francis, Sergeant, RAFVR, Service Number 1180566, age 27, killed 08.Dec.1941 in the crash of Bristol Beaufighter Mk.II serial R2398 whilst "going round again", the pilot having aborted an attempted landing at RAF Coltishall. Death Registration: "LANGDON, Gordon P F, age 27, Norwich Outer 4b 169, Dec.Qr.1941", not duplicated in RAF WW2 register. 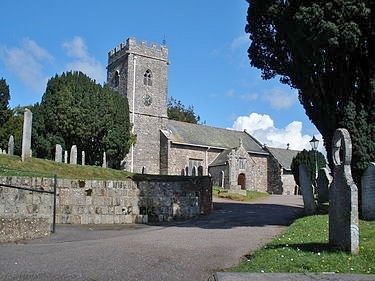 Buried at St.Margaret and St.Andrew Churchyard, Littleham, Devon, section Y grave 234. Peacetime occupation: Footwear salesman. Son of Edwin George LANGDON, postal worker, and Mabel LANGDON née LESLEY of 36 Victoria Road, Exmouth. Other fatalities in the same incident: WINDSOR. LENNARDS, William Huskins, Flight Sergeant, RAFVR, Service Number 1312243, age 23, killed 23.Aug.1943 in the crash of Bristol Beaufighter Mk.VI serial V8896 on return from a training flight from Bo Rizzo, Sicily. Death Registration: "War Deaths (RAF - All Ranks) 1939-1948, 1943 Vol 9 Page 192". Originally buried at the British Cemetery, Marsala (illegible in CWGC record, data from Peter Croft’s written history of the Squadron), re-buried 27.Feb.1944 at Catania War Cemetery, Sicily, grave number I.F.14. Son of William Huskins LENNARDS and Ella LENNARDS of "The Hollies", Cargate Grove, Aldershot, Hampshire. Other fatalities in the same incident: RASTALL. LEWIS, William, Flying Officer, RAFVR, Service Number 139418, age 21, killed 01.Apr.1944 when de Havilland Mosquito Mk.XIII serial MM472 crashed near Rivet, Algeria and caught fire. Death Registration: "War Deaths (RAF - All Ranks) 1939-1948, 1944 Vol 9 Page 223". 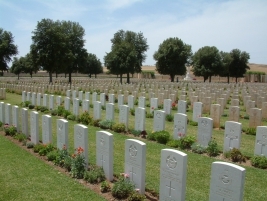 Buried at Dély Ibrahim War Cemetery, Algeria, grave number 4.F.18. Son of William LEWIS and Ethel Teresa LEWIS née LEEMING of Rochester, Kent. Probate records suggest an address of 32 Balfour Road, Chatham. It might be argued that this was not a 255 Squadron casualty, although it is listed as such by both GRO and CWGC despite Lewis having been posted to 144 MU on 28.Jan.1944. Other fatalities in the same incident: None. LOY, Owen, Leading Aircraftman, RAFVR, Service Number 952323, age 26, killed by shrapnel 26.Jan.1943 during an enemy air raid on Souk-el-Arba airfield, Tunisia. Death Registration: "War Deaths (RAF - All Ranks) 1939-1948, 1943 Vol 9 Page 310". 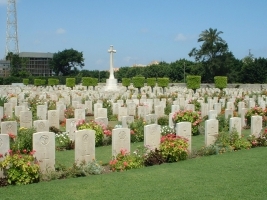 Initially buried at Souk-el-Arba, re-buried 14.Jul.1944 at Medjez-el-Bab War Cemetery, Tunisia, grave number 6.C.17. Son of Owen LOY and Mary LOY née McELDERRY or McELDERY (official sources differ); husband of Gladys L. LOY née HERSOM of Rainham, Essex. Other fatalities in the same incident: None. LUCKHURST, Jack David, Flight Sergeant, RAFVR, Service Number 1385032, age 22, killed 08.Jan.1944 in the crash of Bristol Beaufighter Mk.VI serial ND151, near Alberobello, Italy. Death Registration: "War Deaths (RAF - All Ranks) 1939-1948, 1944 Vol 9 Page 315". Originally buried at Taranto Military Cemetery; re-buried 03.Oct.1944 at Bari War Cemetery, Italy, grave number VI.E.10. Commemorated along with other WWII casualties from Eltham on a brass plaque inside Christ Church, 229 Eltham High Street (WM ref: 58571. There is an error in the IWM description. The church is not aligned East-West; the plaque is actually on the West wall of the church). Jack was the son of John Percy LUCKHURST and Frances Helena LUCKHURST née GLEESON of Eltham, London. Other fatalities in the same incident: POULTON. McGEVOR, Frederick Peter James, DFM, Squadron Leader, Royal Air Force, Service Number 70424, age 39, killed 28.Feb.1942 when Bristol Beaufighter Mk.II serial R2333 crashed offshore of Cromer, Norfolk. Death Registration: Not recorded in the civilian registers; appears as "War Deaths (RAF - All Ranks) 1939-1948, 1942 Vol 10 Page 57" as if a death overseas. No body recovered. Commemorated at the Runnymede Memorial, Panel 65 (WM Ref: 23270). Son of John McGEVOR and Elizabeth McGEVOR, husband of Norah McGEVOR née GIBSON of Heaton, Newcastle-on-Tyne. Other fatalities in the same incident: BARKER, L.S. MORRIS, William Arthur Charles, Flying Officer, RAFVR, Service Number 140870, age 28, killed 03.Apr.1944 after bailing out of Bristol Beaufighter Mk.VI serial KW123. Body recovered from the sea off Manfredonia, Italy, on 16 April. Death Registration: "War Deaths (RAF - All Ranks) 1939-1948, 1944 Vol 10 Page 463". 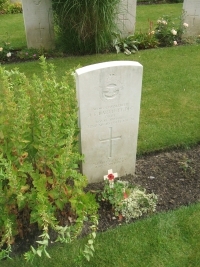 Originally buried at Foggia Civil Cemetery; re-buried 03.Oct.1944 at Bari War Cemetery, Italy, grave number XV.C.1. Son of Charles W. MORRIS and Winifred R. MORRIS née ARMOUR; husband of Sibyl Marion MORRIS née CLAXTON of Hillesden, Buckinghamshire. Probate records show the casualty’s home address as 5 Maldon Court, West Barnes Lane, New Maldon, Surrey. Other fatalities in the same incident: None. MORTIMER, Michael John, BA (Oxon. ), Pilot Officer, RAFVR, Service Number 102157, age 27 (Date of Birth 26.Oct.1914), killed 15.Jan.1942 when Bristol Beaufighter Mk.II serial R2448 crashed on approach to RAF Coltishall. Death Registration: "MORTIMER, Michael J, age 27, Norwich Outer 4b 170, Mar.Qr.1942", not duplicated in RAF WW2 register. Civilian occupation: Clinical student, St.Margaret’s Hospital, Epping. Buried at Scottow Cemetery, Norfolk, UK, grave number 268. 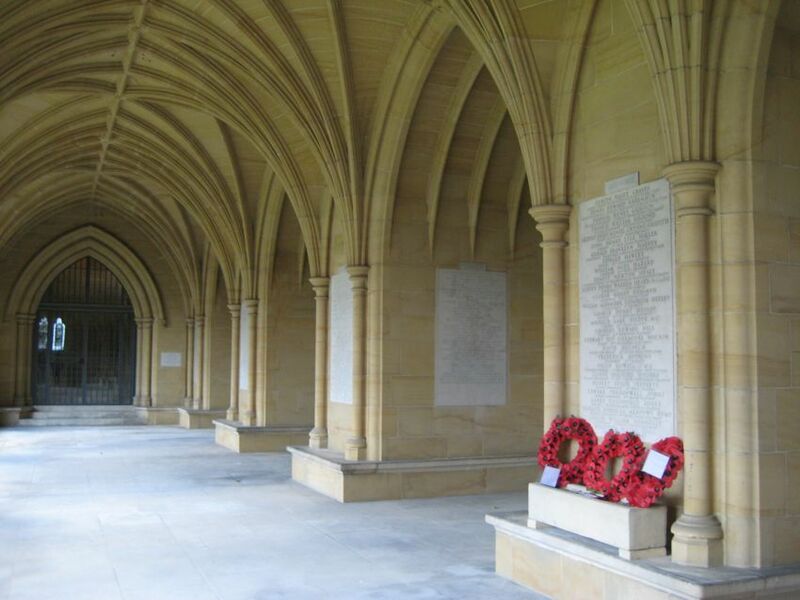 Also commemorated at Lancing College War Memorial (WM Ref: 16575), Michael having been a pupil there. Son of the Reverend John Lawrence MORTIMER (who died in New Zealand in 1920) and Helen Ida MORTIMER latterly of the Elmhurst Ballet School, Camberley, Surrey. Other fatalities in the same incident: BEDFORD. NEDAHL, Dewi Marlais, Flying Officer, RAFVR, Service Number 138211, age 22, killed 26.Sep.1943 when two Beaufighter Mk.VI aircraft of No.255 Squadron collided in mid-air some 10 miles west of Cap S.Vito, NW Sicily. Aircraft serials not shown in surviving Squadron records. Death Registration: "War Deaths (RAF - All Ranks) 1939-1948, 1943 Vol 11 Page 19". No body recovered. 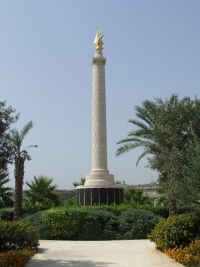 Commemorated at the Malta Memorial, Panel 6 Column 2. Son of Roderick NEDAHL, Master Tailor, and Esther NEDAHL née GRIFFITHS of 11 Pemberton Avenue, Burry Port, Carmarthenshire. Other fatalities in the same incident: COTTERILL. NOONAN, Francis Arthur, Flight Sergeant, RAAF, Service Number 409215, age 20, killed 27.Aug.1943 when Bristol Beaufighter Mk.II serial V8187 was shot down by "friendly fire" (from USAAF Spitfires) 5 miles east of Scopello, Sicily, whilst seconded to 255 Squadron for radar calibration purposes. No body recovered. Commemorated at the Malta Memorial Panel 11, Column 2 and also at Panel 128 of the Commemorative Area at the Australian War Memorial, Canberra, Australian Capital Territory. Son of Francis Patrick NOONAN and Veronica Nora NOONAN of Newcastle, New South Wales, Australia. Other fatalities in the same incident: WADDELL. Noonan was a passenger in the Beaufighter – the pilot of a Wellington bomber that had made an emergency landing at Bo Rizzo the day before. Waddell was the pilot. The Navigator Radio, Flight Lieutenant Sproule, survived. See AIR27/1520 folio 28 side 2. 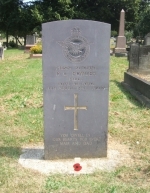 PACKER, Charles Edmund, Aircraftman 1st Class, RAFVR, Service Number 979304, killed 26.Dec.1942. Death Registration: "War Deaths (RAF - All Ranks) 1939-1948, 1942 Vol 11 Page 184". 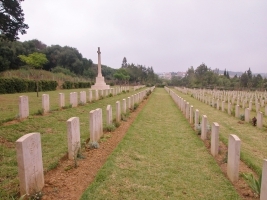 Buried at Bône War Cemetery, Annaba, Algeria, collective grave VIII.G.1-13. Other fatalities in the same incident: None. PARKER, Alan Richard, Sergeant, RAFVR, Service Number 656980, age 21, killed 12.Jul.1942 when Bristol Beaufighter Mk.VI X7945 crashed near Hatton Mental Hospital. Death Registration: "PARKER, Alan R, age 21, Warwick 6d 817, Sep.Qr.1942", not duplicated in RAF WW2 register. Cremated and commemorated on 'Right-hand Column' at Birmingham (Perry Bar) Crematorium. Son of Charles Richard PARKER, Sheet Metal Worker, and Eva Rose PARKER née HANCOX of 53 William Cook Road, Ward End, Birmingham 8. Other fatalities in the same incident: GUTHRIE. PENWARDEN, Douglas Charles, Sergeant, RAFVR, Service Number 1162810, age 20, killed 27.Jul.1942 in the crash of Bristol Beaufighter Mk.VI serial X8021. Death Registration: "PENWARDEN, Douglas C, age 20, Stratford 6d 845, Sep.Qr.1942", not duplicated in RAF WW2 register. 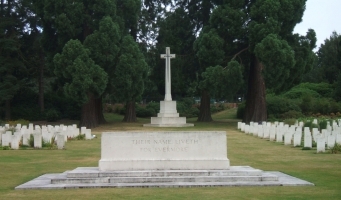 Buried at Brookwood Military Cemetery, grave number 24.B.7 (WM Ref: 23768). Son of Charles William PENWARDEN, Costings Clerk & Statistician, and Muriel Kate PENWARDEN née KINGWILL of Weybridge, Surrey. Other fatalities in the same incident: None. 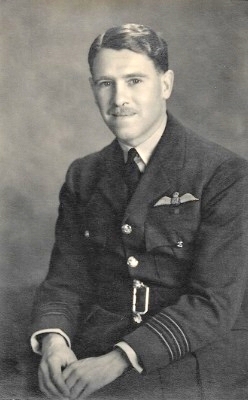 Douglas’s uncle, Archibald N. KINGWILL, was a flying instructor. PERRY, John William, Flight Sergeant, Royal Air Force, Service Number 655801, age 24, killed 04.Sep.1942 when Bristol Beaufighter Mk.VI serial X7957 crashed at RAF Honiley during a training flight. Death Registration: "PERRY, John W, age 24, Meriden 6d 605, Sep.Qr.1942", not duplicated in RAF WW2 register. Buried at Carlton Cemetery, section B, row E5 grave 30. Son of John William PERRY and Clementina Elizabeth PERRY née WILSON of 1 Alpine Crescent, Carlton, Nottinghamshire. Other fatalities in the same incident: None. POULTON, Dennis, Warrant Officer, RAFVR, Service Number 778672, killed 08.Jan.1944 in the crash of Bristol Beaufighter Mk.VI serial ND151, near Alberobello, Italy. Death Registration: "War Deaths (RAF - All Ranks) 1939-1948, 1944 Vol 11 Page 438". Originally buried at Taranto Military Cemetery; re-buried 03.Oct.1944 at Bari War Cemetery, Italy, grave number VI.E.11. Son of Thomas William POULTON and Emily Beatrice POULTON née LEGGETT. Other fatalities in the same incident: LUCKHURST. RASTALL, Deryck Stephen, Sergeant, RAFVR, Service Number 1470004, age 22, killed 23.Aug.1943 in the crash of Bristol Beaufighter Mk.VI serial V8896 on return from a training flight from Bo Rizzo, Sicily. Death Registration: "War Deaths (RAF - All Ranks) 1939-1948, 1943 Vol 12 Page 79". Originally buried at the British Cemetery, Marsala (illegible in CWGC record, data from Peter Croft’s written history of the Squadron), re-buried 27.Feb.1944 at Catania War Cemetery, Sicily, grave number I.F.15. Son of John Stephen RASTALL, Compositor, and Nellie Evelyn RASTALL née BIRD of 41 Warwick Road, New Southgate, Middlesex. Other fatalities in the same incident: LENNARDS. RAY, Bernard, Solicitor, Flying Officer, RAFVR, Service Number 147942, age 36 (DoB 11.May.1908), killed 13.Nov.1944 in the crash of Bristol Beaufighter Mk.VI serial ND312 at Foggia Main. Death Registration: "War Deaths (RAF - All Ranks) 1939-1948, 1944 Vol 12 Page 89". 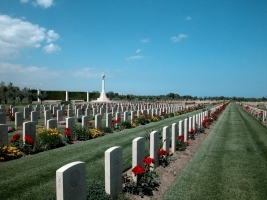 Buried at Bari War Cemetery, Italy, grave number XI.B.6. Son of John Ernest RAY and Minnie RAY née PONT; husband of Doris Florence RAY née CROSS of Salehurst Vicarage, East Sussex, and later of Winchester. Father of Jennifer (1938) and Christine (1940). Other fatalities in the same incident: JONES. REYNOLDS, Thomas William, Flight Lieutenant, RAFVR, Service Number 132071, age 25, killed 24.Nov.1944 when Bristol Beaufighter Mk.VI serial ND295 failed to return from a defensive scramble from Rosignano. Last reported position was over the sea; no body recovered. Death Registration: "War Deaths (RAF - All Ranks) 1939-1948, 1944 Vol 12 Page 147". 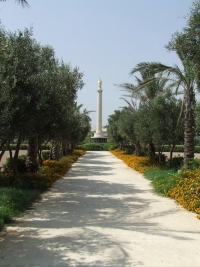 Commemorated at the Malta Memorial, Panel 13 Column 1. Son of John Francis REYNOLDS and Hannah Elizabeth REYNOLDS, husband of Christina Elizabeth REYNOLDS of Aberdeen. Other fatalities in the same incident: RUDLING. RUDLING, Roy Edward, Flying Officer, RAFVR, Service Number 145097, killed 24.Nov.1944 when Bristol Beaufighter Mk.VI serial ND295 failed to return from a defensive scramble from Rosignano. Last reported position was over the sea; no body recovered. Death Registration: "War Deaths (RAF - All Ranks) 1939-1948, 1944 Vol 12 Page 320". Commemorated at the Malta Memorial, Panel 13 Column 2. Other fatalities in the same incident: REYNOLDS. SALKELD, Thomas Richard, Sergeant, RAFVR, Service Number 981544, age 22, killed 22.Aug.1941 when Bristol Beaufighter Mk.II serial R2403 crashed on final approach to RAF Coltishall. Death Registration: "SALKELD, Thomas, age 22, N.Walsham 4b 99, Sep.Qr.1941". Note omission of second initial from GRO Index. Death record not duplicated in RAF WW2 register. Buried at Lazonby St.Nicholas Churchyard, Cumberland, section B grave 25. 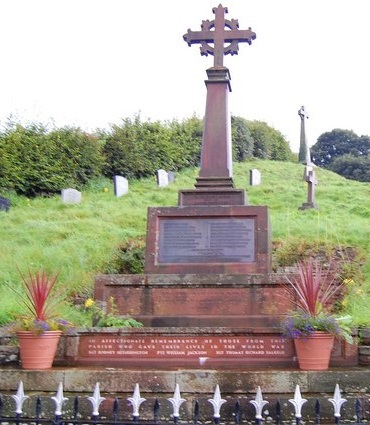 Commemorated at several locations in Cumbria, Tom’s name appears on the Lazonby Village Memorial (WM Ref: 2999), also at Penrith Castle Park Gatehouse (WM Ref: 3080), at St.Andrew’s Church Penrith (WM Ref: 3065, Column 4) and at Queen Elizabeth Grammar School, Penrith (WM Ref: 9770). In two of these locations his name appears immediately next to that of another 255 casualty, John Lindsay SAYER. Tom was the son of Robert SALKELD and Sarah Agnes SALKELD née WINDER of Penrith. Other fatalities in the same incident: BARTLETT. SANDERS, Cecil John, Flying Officer, RAFVR, Service Number 140887, age 32 (DoB 02.Aug.1912), peacetime occupation Civil Servant, killed 31.Aug.1944 when Bristol Beaufighter Mk.VI serial MM838 failed to return from an intruder patrol over the Danube Basin / Belgrade area. Death Registration: "War Deaths (RAF - All Ranks) 1939-1948, 1944 Vol 13 Page 19". A limited disclosure by Air Historical Branch, in advance of declassification of the entire record, stated "In respect of Flying Officers [sic] Sanders and Summers there is some additional information recorded on the rear of their respective casualty cards. Both cards note that they were previously buried at Kovin, prior to being reburied at Belgrade. This information came from the Missing Research and Enquiry Service (MRES). Initially they were given a military funeral at Kovin by the Yugoslavs who found them. It was noted at the time that Kovin was on the north bank of the Danube opposite Smederevo, about 80 kilometres from Belgrade." This information has subsequently been shown to be incorrect in several respects; for a running update of the corrected version see this website’s page about the loss of MM838. 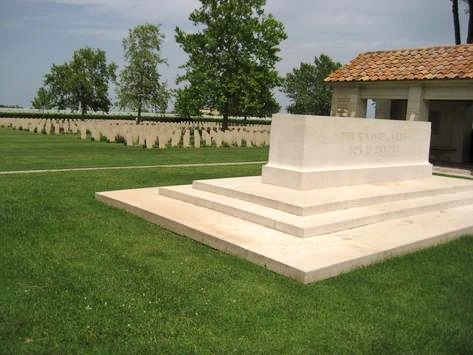 Burial was at Belgrade War Cemetery, Serbia, grave number 9A.A.10. Son of Frank Cecil SANDERS, Clerk, and Emily SANDERS of 49 Glenhouse Road, Eltham. Other fatalities in the same incident: SUMMERS. SAYER, John Lindsay, Flight Sergeant, RAFVR, Service Number 1062107, age 29, presumed killed and body lost at sea 01.Apr.1943 when Bristol Beaufighter Mk.VI [serial not shown in surviving Squadron records] failed to return from an intruder mission over Sardinia. Civilian occupation: Chief Clerk at the Cumberland & Westmorland Farm School. Death Registration: "War Deaths (RAF - All Ranks) 1939-1948, 1943 Vol 13 Page 48". No body recovered. Commemorated at the Malta Memorial, Panel 7 Column 2 and at the following locations in the UK: Penrith St.Andrew’s Church (WM Ref: 3065, Column 4), Penrith Castle Park Gatehouse (WM Ref: 3080), the engraved Rood Screen at Christ Church, Penrith (WM Ref: 3074, Panel 4) and on the Appleby Civic Memorial (unverified). In two of these locations, his name appears immediately next to that of another 255 casualty, Thomas Richard SALKELD. John was the son of George SAYER and Lizzie SAYER née LINDSAY, husband of Madge Mary SAYER née WRIGHT, father of Lindsay (1936), Lesley (1941) and Jacqueline (1943). Other fatalities in the same incident: HUMES. SCROGGS, Ernest William, Pilot Officer (posthumous notification of commissioning, hence the apparent discrepancies as regards rank within CWGC records), RCAF, Service Number J/18051, killed 27.Jun.1943 when Bristol Beaufighter Mk.VI serial V8523 crashed about 15 miles from Sétif, Algeria. 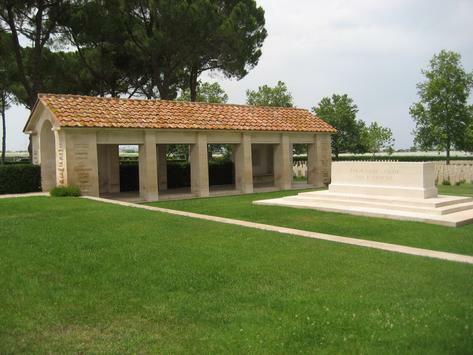 Initially buried at Sétif Civil Cemetery, re-buried 21.Sep.1944 at La Réunion War Cemetery, Algeria, grave 1.B.3. Also commemorated on Page 211 of Canada’s WW2 Book of Remembrance; the page being on public display at the Memorial Chamber of the Peace Tower in Ottawa each April 29. Married; residence 2123 Chambers Street, Victoria, British Colombia. Other fatalities in the same incident: None. SMITH, George Pugh, BSc., PhD. 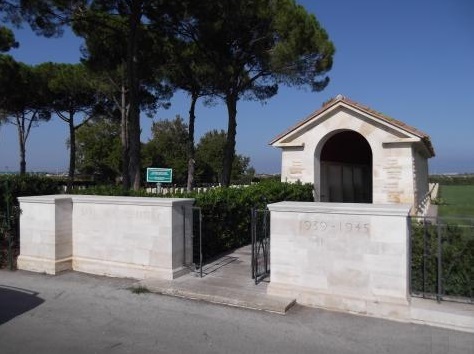 (Cardiff), Pilot Officer, RAFVR, Service Number 158140, age 34, killed 10.Sep.1943 when Bristol Beaufighter Mk.VI [serial not recorded in surviving Squadron records] crashed off Licosa Point (Punta Licosa), Italy. No body recovered. Death Registration: "War Deaths (RAF - All Ranks) 1939-1948, 1943 Vol 13 Page 271". 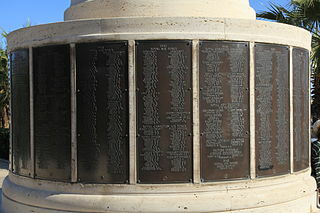 Commemorated at the Malta Memorial, Panel 7 Column 1. Son of George Henry SMITH and Gertrude SMITH, husband of Evelyn SMITH of Old Coulsdon, Surrey. Other fatalities in the same incident: GRAHAM. 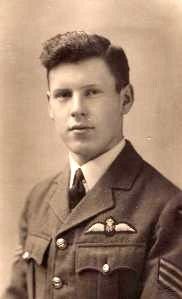 STREET, Frank Hancock, Flying Officer, RAFVR, Service Number 123299, age 21, killed 13.Apr.1943 when Bristol Beaufighter Mk.VI [serial not recorded in surviving Squadron records] failed to return to base following daytime air combat west of Sardinia. No body recovered. Death Registration: "War Deaths (RAF - All Ranks) 1939-1948, 1943 Vol 13 Page 480". 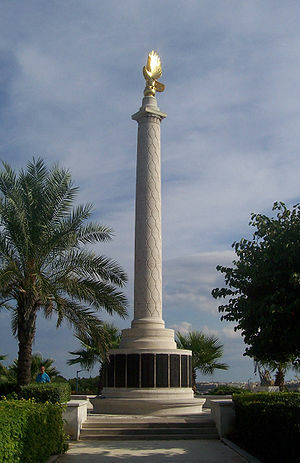 Commemorated at the Malta Memorial, Panel 6 Column 2. Son of Fred STREET and Elsie STREET née HANCOCK of 33 Mossdale Road, Sale, Cheshire. Other fatalities in the same incident: THOMAS. SUMMERS, James, Flight Lieutenant, RAFVR, Service Number 127208, age 26, killed 31.Aug.1944 when Bristol Beaufighter Mk.VI serial MM838 failed to return from an intruder patrol over the Danube Basin / Belgrade area. Death Registration: "War Deaths (RAF - All Ranks) 1939-1948, 1944 Vol 13 Page 504". A limited disclosure by Air Historical Branch, in advance of declassification of the entire record, stated "In respect of Flying Officers [sic] Sanders and Summers there is some additional information recorded on the rear of their respective casualty cards. Both cards note that they were previously buried at Kovin, prior to being reburied at Belgrade. This information came from the Missing Research and Enquiry Service (MRES). 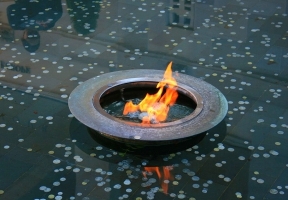 Initially they were given a military funeral at Kovin by the Yugoslavs who found them. It was noted at the time that Kovin was on the north bank of the Danube opposite Smederevo, about 80 kilometres from Belgrade." This information has subsequently been shown to be incorrect in several respects; for a running update of the corrected version see this website’s page about the loss of MM838. Burial was at Belgrade War Cemetery, Serbia, grave number 9A.A.9. Son of Matthew Edward Summers and Mary A. SUMMERS née NEIL; husband of Phyllis Vera SUMMERS née GILLIES of Barkingside, Essex. Other fatalities in the same incident: SANDERS. 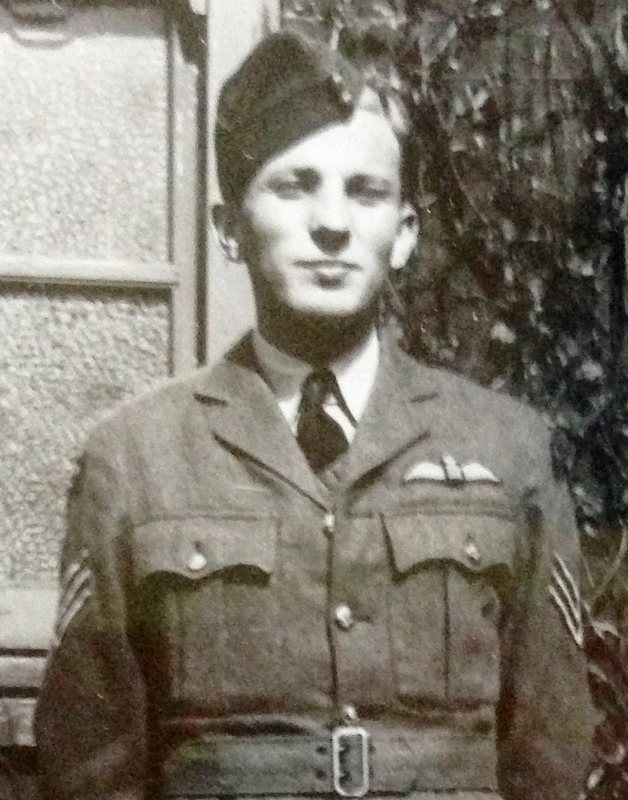 THARP, John David Annesley, Flying Officer, RAFVR, Service Number 116059, age 20, killed 14.Apr.1943 whilst attached to 153 Squadron and on patrol over the Western Mediterranean from Maison Blanche, Algeria. No body recovered. Death Registration: "War Deaths (RAF - All Ranks) 1939-1948, 1943 Vol 14 Page 67". Commemorated at the Malta Memorial, Panel 6 Column 2. Son of Lieutenant-Colonel Gerard Prideaux THARP (1871–1934) formerly of The Rifle Brigade and Dora Maryan Wesley THARP formerly MORRIS (widowed) née HALL (1891–1948). Other fatalities in the same incident: KING. 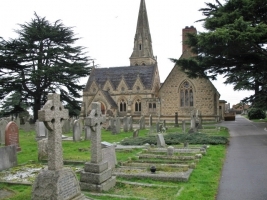 THOMAS, Gilbert Llewellyn, Flight Sergeant, RAFVR, Service Number 1103218, killed 13.Apr.1943 when Bristol Beaufighter Mk.VI [serial not recorded in surviving Squadron records] failed to return to base following daytime air combat west of Sardinia. No body recovered. Death Registration: "War Deaths (RAF - All Ranks) 1939-1948, 1943 Vol 14 Page 80". Commemorated at the Malta Memorial, Panel 7 Column 2. Other fatalities in the same incident: STREET. VARLEY, Tom, Sergeant, RAFVR, Service Number 977495, age 21, killed 16.Oct.1941 when Bristol Beaufighter Mk.II serial R2377 crashed offshore of Happisburgh, Norfolk, UK. Body recovered by the Cromer Lifeboat. Death Registration: "VARLEY, Tom, age 21, N.Walsham 4b 81, Dec.Qr.1941", registration duplicated as "War Deaths (RAF - All Ranks) 1939-1948, 1941 Vol 14 Page 272". 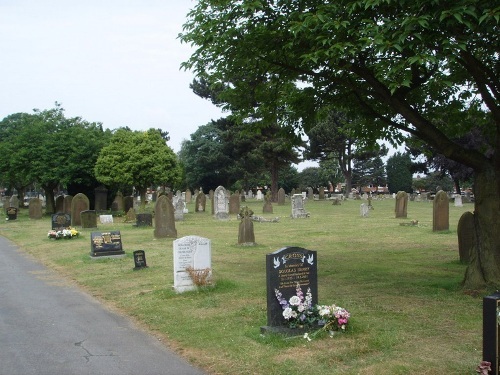 Buried at Church and Clayton-Le-Moors Joint Cemetery, section NH grave 185. Son of Jane VARLEY (1896–1963), Cotton Weaver, of 27 Barnes Street, Church Kirk, Lancashire. Known omission from WM Ref: 58132, a memorial inside a church that is now disused. Other fatalities in the same incident: BARKER, W.
VINCENT, Harold Nigel, Pilot Officer, RAFVR, Service Number 102185, age 24, killed 25.Feb.1942 in the crash of Bristol Beaufighter Mk.II serial T3023 on final approach to RAF Coltishall. Death Registration: "VINCENT, Harold N, age 24, Acle 4b 70, Mar.Qr.1942", not duplicated in RAF WW2 register. Buried at Brookwood Military Cemetery, grave number 21.B.3 (WM Ref: 23768). Son of Harold VINCENT, Manufacturing Furrier & ARP Warden, and Clara Julia VINCENT née MAYS of 34 De Crespigny Park, Camberwell, London. Other fatalities in the same incident: CLENNELL. WADDELL, Robert Reginald, Flight Sergeant, RAAF, Service Number 420086, age 23, killed 27.Aug.1943 when Bristol Beaufighter Mk.II serial V8187 was shot down by "friendly fire" (from USAAF Spitfires) 5 miles east of Scopello, Sicily, whilst seconded to 255 Squadron for radar calibration purposes. No body recovered. 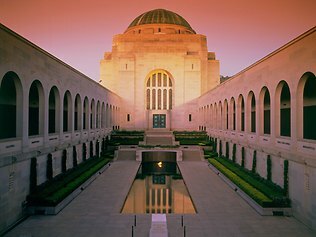 Commemorated at the Malta Memorial Panel 12, Column 2 and also at Panel 131 of the Commemorative Area at the Australian War Memorial, Canberra, Australian Capital Territory. Son of Carlyle Jackson WADDELL and Susan WADDELL of Hurstville, New South Wales, Australia. Other fatalities in the same incident: NOONAN. Waddell was the pilot. The Navigator Radio, Flight Lieutenant Sproule, survived. 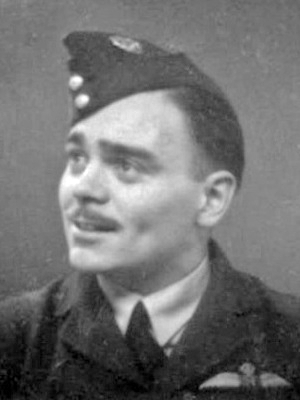 The second casualty, Noonan, was a passenger in the Beaufighter – the pilot of a Wellington bomber that had made an emergency landing at Bo Rizzo the day before. See AIR27/1520 folio 28 side 2. 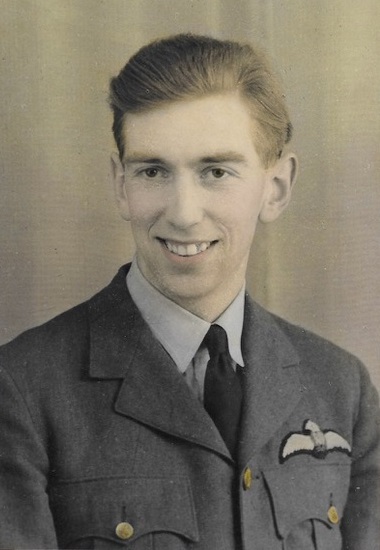 WALKER, John Denis, Flying Officer, RAFVR, Service Number 179365, age 27, killed 10.Mar.1945 when de Havilland Mosquito Mk.XIX serial TA427 crashed into the sea. Wreckage sighted at 43°23'N 9°34'E. 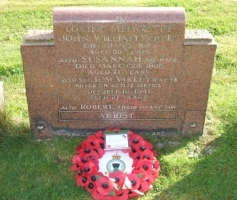 Body recovered by HMS Matchless and buried at sea. Death Registration: "War Deaths (RAF - All Ranks) 1939-1948, 1945 Vol 14 Page 326". Commemorated at the Malta Memorial, Panel 18, Column 1. Son of Mrs M. G. WALKER, husband of Kathleen WALKER née HOWELL of Brislington, Bristol. Other fatalities in the same incident: DUTTON. WATERS, Thomas William, Sergeant, RAFVR, Service Number 1424091, age 27, killed 07.Jan.1944 in the crash of Bristol Beaufighter Mk.VI serial MM864 during take-off from Grottaglie, Italy. Death Registration: "War Deaths (RAF - All Ranks) 1939-1948, 1944 Vol 14 Page 402". Originally buried at Taranto Military Cemetery; re-buried 03.Oct.1944 at Bari War Cemetery, Italy, grave number VI.C.33. Son of Thomas WATERS and Martha Ann WATERS née EDWARDS; husband of Barbara Mary WATERS née SINNERS of Rhosddu, Wrexham, Denbeighshire. Other fatalities in the same incident: KELLY. WESTON, Ronald Victor, Flying Officer, RAFVR, Service Number 119195, age 28, killed 06.Jan.1943 in the crash of Bristol Beaufighter Mk.VI serial V8547 which struck a cliff whilst attempting an emergency landing at Bône, Algeria. Death Registration: "War Deaths (RAF - All Ranks) 1939-1948, 1943 Vol 15 Page 41". 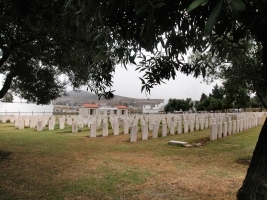 Buried at Bône War Cemetery, Annaba, Algeria, collective grave number VIII.G.1-13. Son of George WESTON and Elsie Maxwell WESTON of West Leederville, Western Australia. Other fatalities in the same incident: HILES. WINDSOR, Charles Mervyn, Wing Commander, Royal Air Force, Service Number 26193, age 30 (some official records say 32 apparently in error), killed 08.Dec.1941 in the crash of Bristol Beaufighter Mk.II serial R2398 whilst "going round again", having aborted an attempted landing at RAF Coltishall. Death Registration: "WINDSOR, Charles M, age 30, Norwich Outer 4b 169, Dec.Qr.1941". Death registration not duplicated in RAF WW2 register. Buried at Brookwood Military Cemetery, grave number 24.A.15 (WM Ref: 23768). Husband of Harriet Virginia WINDSOR née ALLCROFT. Father of Virginia (1936) and Tony (1938). Other fatalities in the same incident: LANGDON. WYATT, Francis Charles, Warrant Officer, Royal Air Force, Service Number 577271, age 23, killed 06.May.1946 in the crash of de Havilland Mosquito Mk.XIX serial TA127. Death Registration: "War Deaths (RAF - All Ranks) 1939-1948, 1946 Vol 15 Page 320". 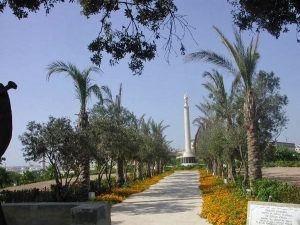 Buried at Alexandria (Hadra) War Memorial Cemetery, Egypt, grave number 6.F.20. 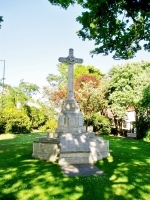 Neither of the principal war memorials in Wembley, Middlesex (WM Refs: 11010, 47729) name individual casualties; Francis was the son of Thomas Stanner WYATT and Hilda WYATT née MEAD of Wembley. Other fatalities in the same incident: None. WYRILL, Hugh Graham Stanhope, DFC, Flying Officer, RAFVR, Service Number 89626, age 23, killed by shrapnel 20.Nov.1942 during an enemy air raid on Maison Blanche airfield, Algeria. Death Registration: "War Deaths (RAF - All Ranks) 1939-1948, 1942 Vol 15 Page 325". 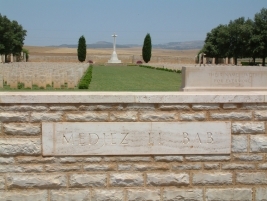 Buried at Dély Ibrahim War Cemetery, Algeria, grave number 3.F.14. Hugh was the younger son of Arthur Stanhope WYRILL (1886–1959) and Lilla Gertrude WYRILL née SIMMONDS (1887–1967) of Hendon. 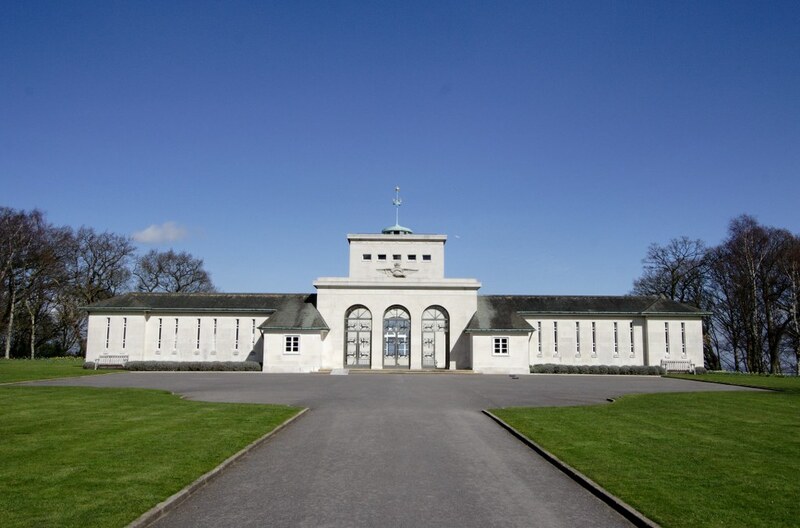 The War Memorial at Hendon (WM Ref: 60057) does not name individual casualties from World War Two. Other fatalities in the same incident: None. Click on the ^ symbol to return to the text you were reading. 1. ^ This page is not, and is not intended to be, a complete list of AIR81 files relating to 255 Squadron. Other AIR 81 files exist, dealing with incidents involving injury but not death. To search for such files, go to the Advanced Search facility of Discovery, the index to The National Archives website, and enter "255 Squadron" as an exact search phrase, "killed" in the box "Don't find words" and "AIR 81" in the section "Within reference". Copyright © 2014–2019. All rights reserved except where otherwise stated.